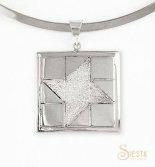 As a Fantastic Bonus for each class you take with us you will earn a Beautiful Siesta Sterling Silver Charm. If you attend all 12 you will receive a Graduation Charm also! Come in the shop to see these, they are so nice. 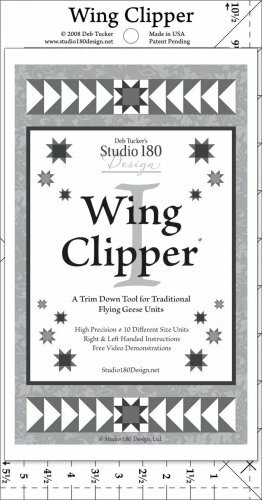 Learn the simple secrets to creating crisp, clean flying geese effectively and quickly. This method can be applied to any pattern that requires flying geese units. Since you usually have to make hundreds of these units at a time, why not make them perfect every time? Expand the use of your Wing Clipper I by learning how to make Pickets and Quickets. Once you begin to recognize these units, you will be surprised how often they appear in patterns from your favorite magazines and designers. You will want to add Pickets and Quickets to your border options. Fabrics will be cut during class. Therefore, the fabric requirements are healthy amounts so that you can make your own design choices during class.